If it were a fairy story or folk tale, then Salé would probably be the ugly sister or maybe the ugly duckling. Sitting next to Rabat, Salé has been seen as the twin sister. Nice to look at from the train on the way to Fez, maybe, but certainly not a place high on the list of those "must visit" places. But now the team from The View from Fez can report that the "ugly duckling" is a myth - a beautiful swan beside the Bou Regreg river, is a more appropriate image. Salé is a fascinating place. Its history is full of mystery and mayhem, of piracy, slavery and a journey from riches to rags. And the history goes a long way back. In Pirate Utopias, Peter Lamborn Wilson says: Salé dates back at least to Carthaginian times (around 7th century BC). The Romans called the place Sala Colonia, part of their province of Mauritania Tingitane. Pliny the Elder mentions it (as a desert town infested with elephants!). The Vandals captured the area in the 5th century AD and left behind a number of blonde, blue-eyed Berbers. 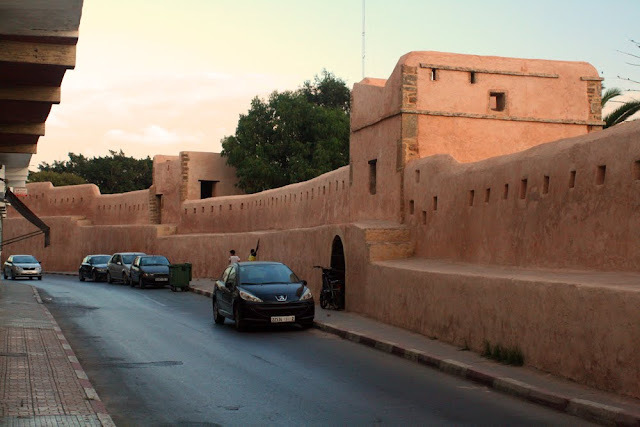 The Arabs (7th century) kept the old name and believed it derived from "Sala" (sic., his name is actually Salah), son of Ham, son of Noah; they said that Salé was the first city ever built by the Berbers. 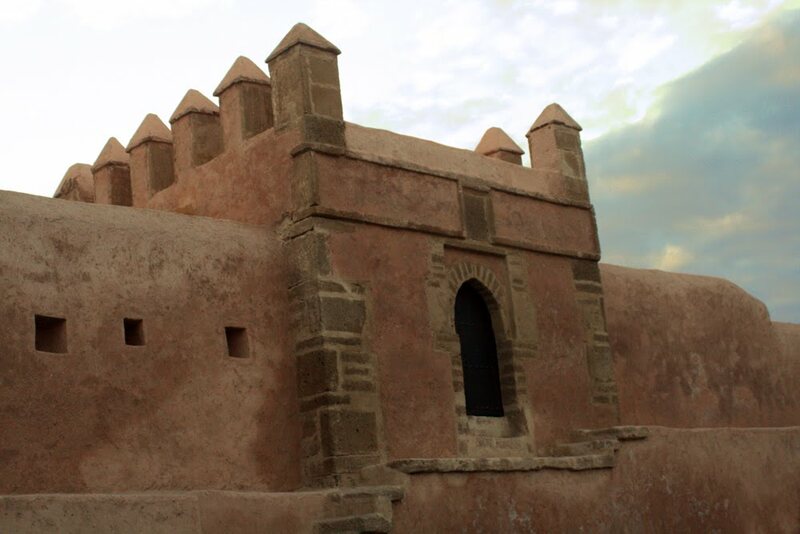 In the 17th century, Salé became a haven for Moriscos-turned-Barbary pirates. The Salé pirates (the well-known "Sally Rovers") roamed the seas as far as the shores of the Americas, bringing back loot and slaves. They formed the Republic of Salé. These days the city is a large "dormitory town" with its critics claiming it has little community life and is devoid of a "centre" of its own. Most of its influential and wealthy inhabitants have departed to live in Rabat on the other side of the river. However, things are changing rapidly and Salé has a lot of potential that will make this an important and interesting place to visit. 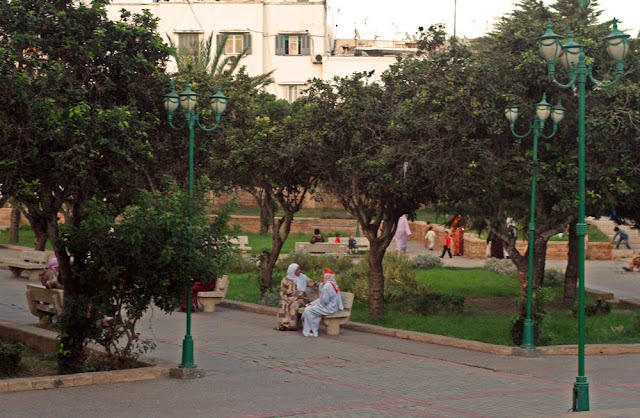 Recent developments, including a new bridge for the Sale-Rabat tram system, marina and coastal development, all show that this is changing with the government and private development companies pouring money into the area. 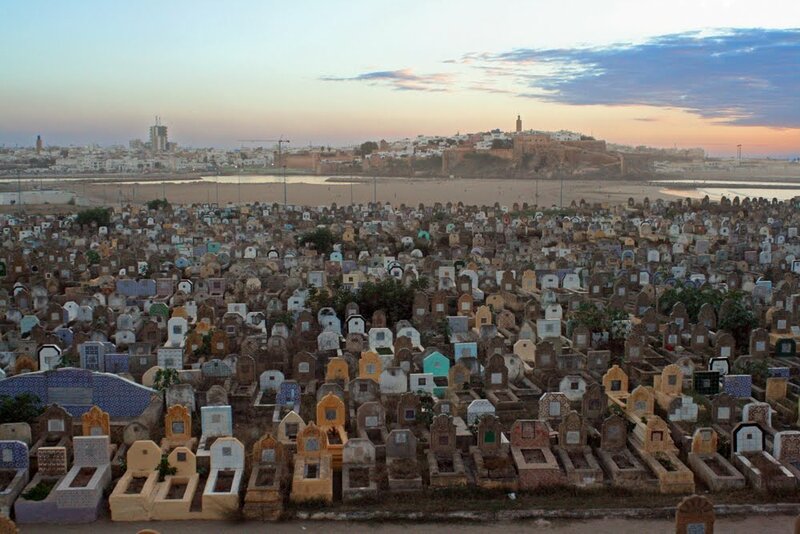 When visiting Salé, take a pleasant stroll along the walls (pictured above) until you come to the view of the old cemetery (pictured below). It is fair to say that in Salé, the dead have the best real estate, right on the foreshore. 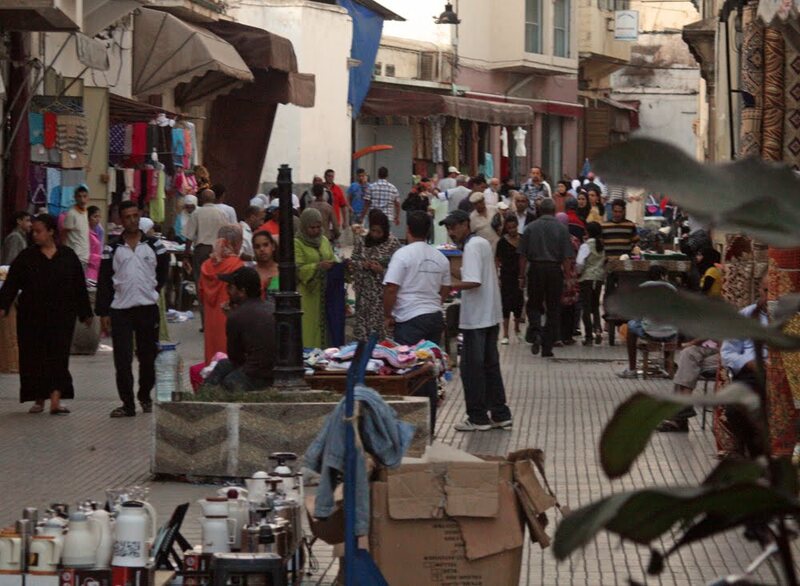 After enjoying the views, cross the road behind you and go into the old medina. While not as spectacular as that in Fez, or as tourist-oriented as Marrakech, it does have a charm of its own and some wonderful hidden treasures. ...and when you need a rest, the park. 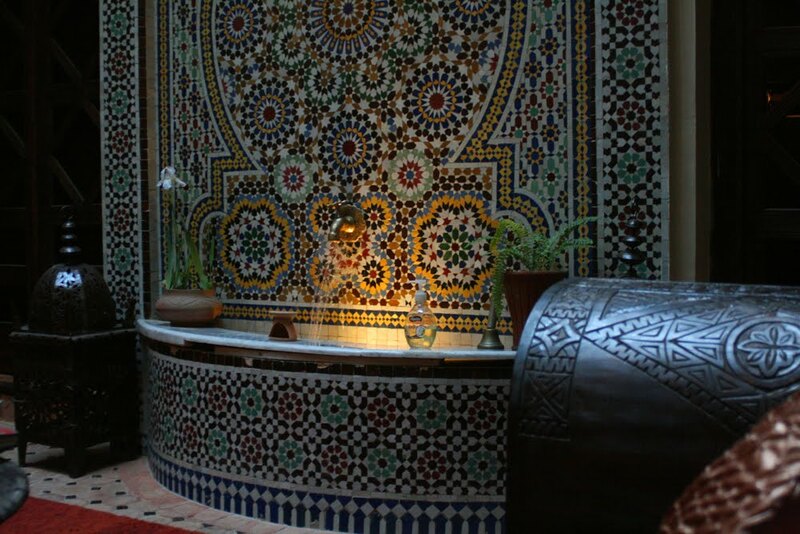 There is a peaceful central park, a Mellah, or old Jewish quarter and several interesting souqs. 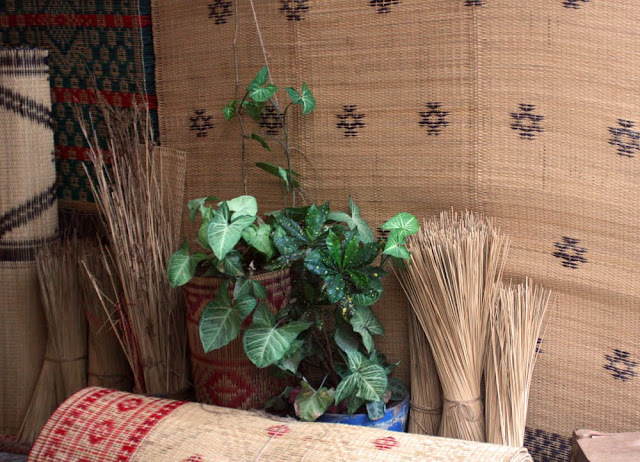 One of the specialities of the city is the production of grass matting designed for mosques, but now sought-after for other interior design functions. Look out for the Great Mosque which was completed in 1333. 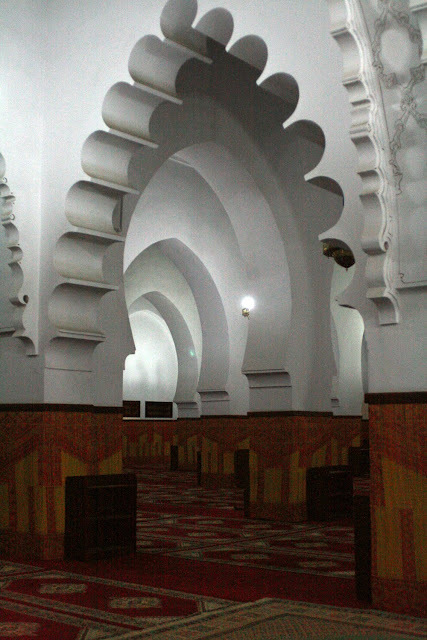 Situated at the top of a small incline, it has the Medersa of Abu al-Hassan on the left with an exquisite gate and carved balcony. The madrasa admission is 10dh, open daily 9.00-12.00 and 14.30-18.00. Do check out the view of Rabat from the roof. 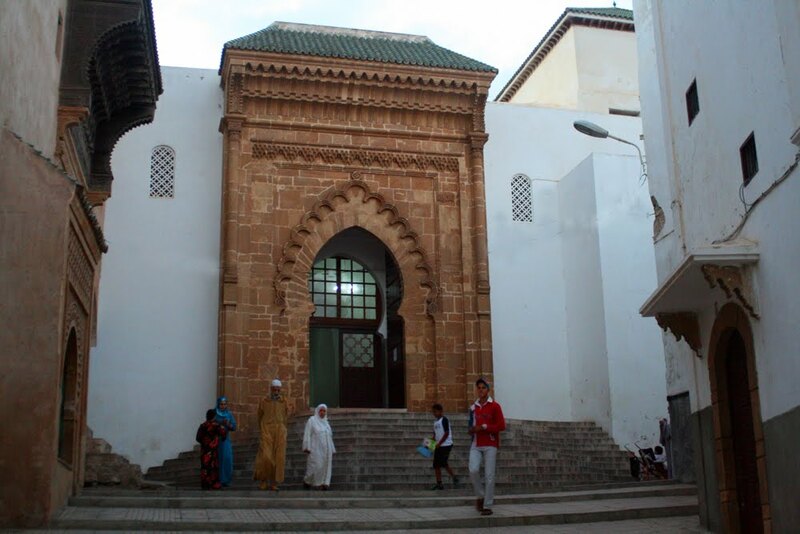 Through an alley on the left of the mosque you can make your way to the orange/yellow door surrounds of the Tijani Zaouia on a corner to the right. 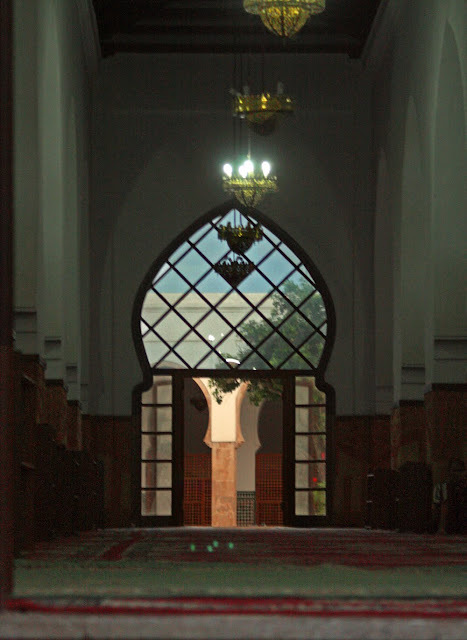 Keep on along the alley and you will eventually come to the Sidi Abdullah ibn Hassoun Zaouia. Just in front of the zaouia is a short lane that takes you back to the road and the sea wall. It is a lovely circuit to walk in the early evening. Finding good accommodation in Salé used to be a problem. Thankfully this too is changing and there are a growing number of places to stay. One that we checked out was The Repose. With an easily accessible address in the Medina, it is stylish without being over the top. The peaceful atmosphere is enhanced by superb staff and very hospitable owners who speak a variety of languages including English. The food is vegetarian, but not of the bland variety. Stuffed peppers, delightful salads and wicked chocolate desserts are the order of the day and reasonably priced. All in all, we regretted that it took so long for us to "discover" Salé. 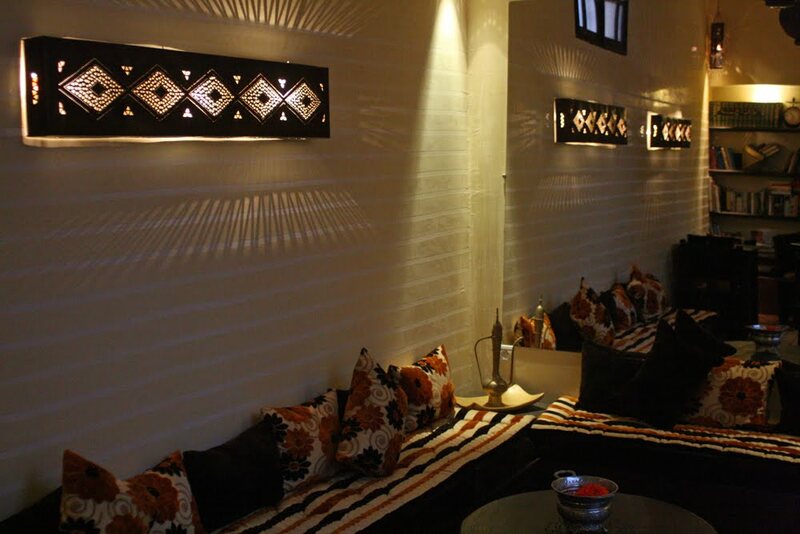 With all the improvements that are in train, we suggest it is a tranquil and interesting place to stay. 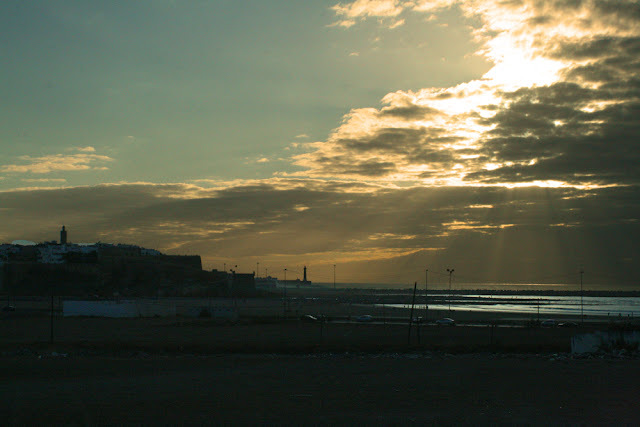 And, of course, if you are after more high octane nightlife, well, Rabat is merely a bridge away. Of course, if the weather is good and you are in a romantic mood, forget about bridges and taxis and after making your way down to the marina, haggle over the price to be rowed across the river in one of the splendid little blue boats. Information: You can reach Salé by train, by car or Grand Taxi from Rabat.